High Peaks Pure Earth has translated two blogposts from the Xining-based Tibetan website www.sangdhor.com. 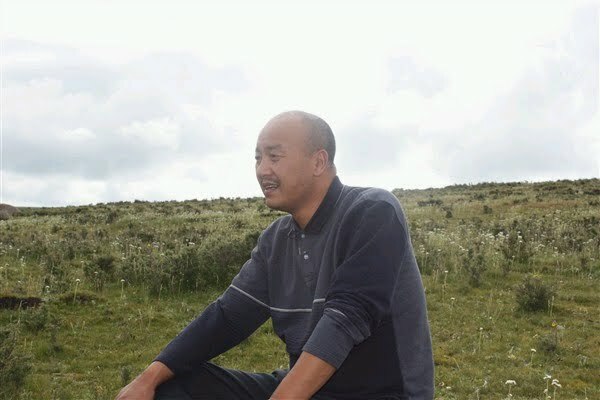 The first blogpost reports the arrest of a prominent Tibetan writer and intellectual called Shogdung (ཞོགས་དུང་ Zhogs Dung, his pen name meaning “morning conch”) on April 23, 2010 and was posted online on April 25, 2010. The second blogpost is an open letter to victims of the earthquake in Kham. Shogdung’s real name is Tagyal (bkra rgyal) and he was a member of staff at the Nationalities Publishing House in Xining. He is the author of several books including the recent publication gnam sa go ‘byed (The Line Between Sky and Earth) about the events in Tibet of 2008. In 1999, to mark the centenary of Lu Xun’s death, Qinghai Tibetan News (mtsho sngon bod yig gsar ‘gyur) carried two articles by Shogdung, which ignited huge debate amongst the Tibetan intellectuals in Amdo. Shogdung argued that Tibetans could only overcome their colonised condition through wholesale modernisation. He argued that Tibetans should embrace modernisation and disassociate from traditional Buddhism learning as a means of overcoming their present condition. In fact, Shogdung’s hyper critical attack on traditional Tibetan cultural practices was seen by many Tibetans as remnant of the Cultural Revolution and the fact that his article was published through an official channel, it was seen as resembling the view of the CCP. From the blogpost it would appear that Shogdung’s detention is related to the earthquake in Kham of April 14. Just three days after the earthquake, on April 17, a group of prominent Tibetan intellectuals based in Qinghai’s Xining province had written an open letter of condolence to the victims of the disaster. Shogdung was one of the signatories of this open letter (in his real name Tagyal) and it was published on his blog. The open letter expresses condolences and at the same time is critical of the Chinese government in their handling of the earthquake relief efforts. Other signatories of this open letter include well known Tibetan writer and singer Jamyang Kyi and other members of the group known as the New School of Thought. The New School is a group of progressive writers who are critical of the past and argue for the need for internal reform and change in Tibetan tradition. 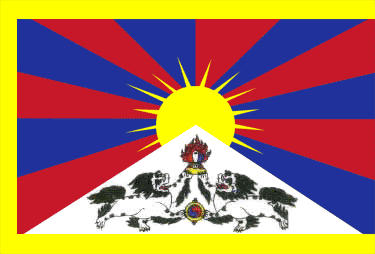 They are highly critical of the negative aspects of Tibetan Buddhism. The Tibetan version of the open letter carries the pen names of the signatories but the Chinese version gives their full names, and also includes short descriptions of the people, and this is the version that appears below in translation. Read more about Shogdung in this essay “Inventing Modernity in A mdo: Views on the Role of Traditional Tibetan Culture in a Developing Society” by Lauran Hartley. ***Update April 26, 2010, 2pm GMT: The website http://www.sangdhor.com/ is currently inaccessible. Several days ago, thousands perished in the massive earthquake in Yushu and it caused suffering for tens of thousands of people. People who are from different countries and languages came together to mourn the tragedy and donated to the people in both direct and indirect ways. However, at this time, to everyone’s surprise, while we are mourning for our brother and sisters, our friend Shogdung was arrested by the national security offices. At 5pm on April 23, apparently five or six police officers from Xining Police Station came to the Qinghai Nationalities Publishing House and took Shogdung to his house and then they searched his library and house. After taking some pictures, they took him away. In the evening at 10pm, several police officers came to his house again and took his two personal computers, saying that the police behavior was not so rough. Again at 3am in the morning, according to his wife Lhatso, the police came again to his home and handed them the arrest warrant and asked for some bedding for him. Taking the arrest warrant, in the early morning, two of his daughters and others went to see him at the local police station but they were not able to meet him and his whereabouts are still unknown. Three days after the earthquake, he had wanted to go to Yushu but he did not get the permit to go there. So he stayed in Xining. Until the day of his arrest, he was busying himself with helping the relief efforts and counseling for injuries. Needless to say, at this time the arrest brought additional sad news for his family and friends. However, we think about our brothers and sisters who died in the earthquake, we should not be that sad. Since the day of his arrest, friends and others constantly called us and asked his condition and all expressed bemusement and surprise. However, if we think about this carefully, we should not be surprised at all. Just one month ago, isn’t it that Kirti Kyab from Zoege county and other teachers were arrested and not yet released? After that isn’t it that Therang (Tashi Rabten) and Shokjang (Druklo) from North West Nationalities University were also arrested? Who knows what will happen to every one of us? This is for now and we are worrying about how this is going to develop in the future. Early morning on April 14, 2010 at 7:49, an earthquake of 7.1 magnitude struck Kham Yushu County. According to the media, ten thousand are injured but under close scrutiny, the real number could exceed the announced number. At the same time, this earthquake severely affected Pelyul, Derge and Dzachukha counties in Kardze prefecture. In fact, we peace-loving and in an inferior position (Tibetans) are not only shrouded by a great might, military force and brutality. This time a natural disaster has struck. Only by forcing oneself to endure, we should follow the teachings of our ancestors that heroes would not shed tears when crying bitterly and should stand up. Bearing in mind the teachings of our ancestors that everything is impermanent, we should wipe away the tears that have fallen on the cheek. We should also remember well the rule that the family members have to live on though the dead will not return any more. No matter how far the fall, we have common flesh and blood that is joined and shared and can not be torn apart, nor can the character of our nationality be bought off, therefore, we who live in Xining, Qinghai province, several writers, express our condolences and sympathy with the Yushu brothers and sisters affected by the disaster, offer our condolences to the dead and are pooling funds and furthermore are preparing to visit the affected areas personally as soon as possible. However, as the news from the mouthpiece for the Party organisations can not be believed, we dare not believe in the Party organisations. The Party organisation ordered to temporarily suspend sending people to the disaster area for political purposes. For this reason, we in faraway Xining out of concern for you and your suffering send you this letter, apart from this, there is nothing else we can do. This is also heartfelt and sincere! In summary, we have a reminder or statement, hope all scholars and cadres empathise with the people of disaster areas to offer food, clothing and medicine! However, do not send your donations to the accounts of a certain organisation or a certain group as if you were paying taxes. The best thing to do is to send somebody one can fully trust to send one’s contributions. Because, who can say that there is no corruption or the bad habit of arrogating to oneself. It is mentioned that Shogdung's two articles were published through official channels, thereby representing views of CCP. I am appalled by that wild speculation. Shodung's two essays were refused by many presses on the account of his criticism of conservatism in Tibet. He is not attacking the Tibetan monastic scholasticism. Through his friendship, his two essays were published on that Tibetan newspaper, which has been publishing Tibetan critical essays, or essays of new thought. 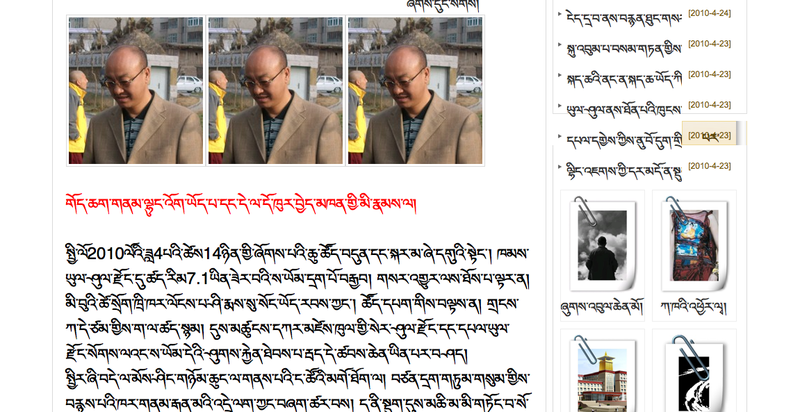 It is not wild speculation, Shogdung's two articles were published in the Tibetan edition of Qinghai Daily (Mtsho sngon bod yig gsar �gyur) in 1999. The article �Rmongs skran �joms pa�i gtar kha� was published on 2 May 1999 and �Bag chags sprug bton� on 30 July 1999.